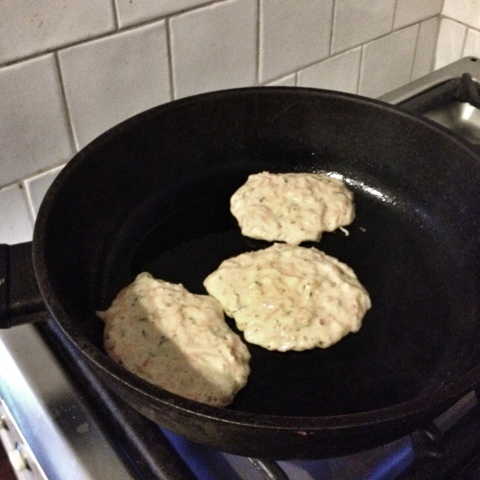 My favourite lunch to make for Ez is Vegetable Pikelets. The reasons I love them so much are that they are easy and quick to make, you can put them in a zip lock bag, you don't need to feed them with a spoon (which is perfect seeing he would MUCH rather feed himself and often refuses to be spoon fed), they aren't that messy so you can take them out with you without worrying too much about getting your Nanna's house filthy, I can eat them for lunch too if I want. Plus there are so many different varieties you can make, and jam them full of as many vegetables as you like so you know they are getting a healthy lunch. 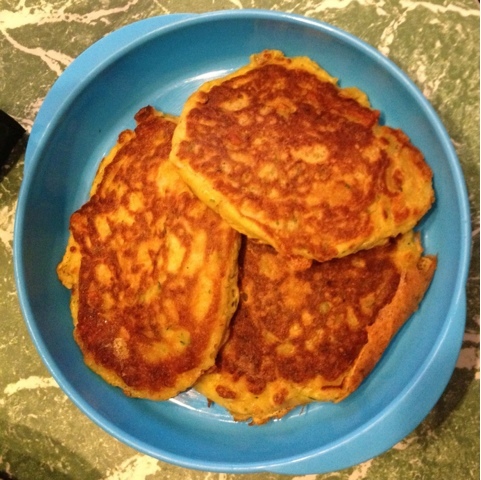 I got the idea from a good little recipe book called Baby Tastes (www.babytastes.com.au) but I just use whatever vegetables I can find in the fridge or freezer. Sometimes I substitute some of the milk for yoghurt, mostly because I often don't have enough milk in the house and I needed some left over for my cup (or several cups) of tea. I usually grate some cheese and add that in too! Mostly cheddar but sometimes I add Parmesan to mix it up a bit. 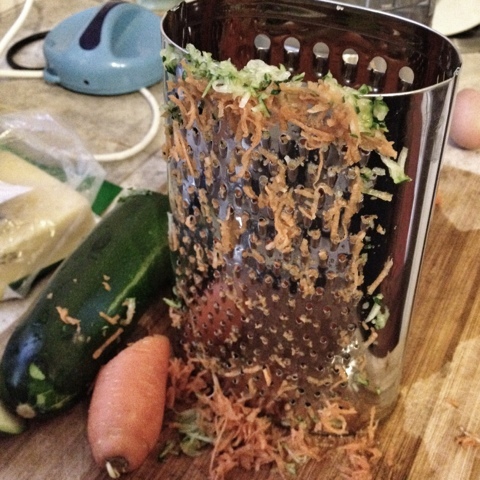 I've tried zucchini and carrot, grated. This is really easy because you don't have to cook the veggies first. My favourite is pumpkin (butternut squash) and carrot. But you have to steam/cook the pumpkin first. Ez loves Mushrooms (kinda unusual for a baby I think) so often I will add them. Really you can add whatever veggies you have in your fridge, you can even do fruit as well. 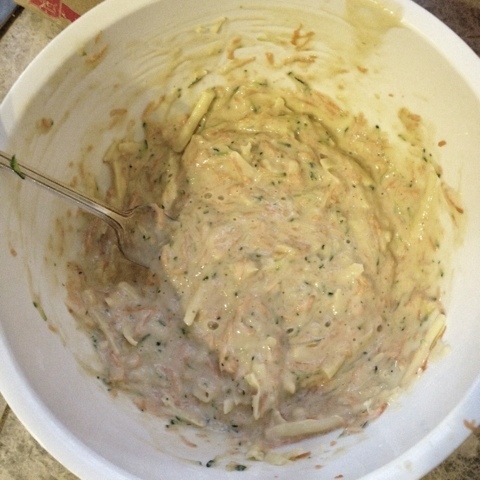 Just remember that the harder ones may need to be cooked prior to adding them to the batter. Once you have mixed it all together, you just fry them up in a pan with a little Olive Oil like mini pancakes (which is really what they are) and hey presto! Bag them up and off you go, or freeze them for later on. 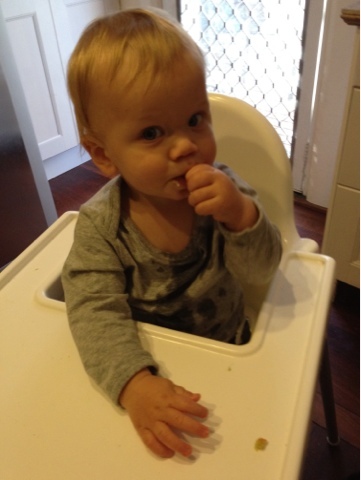 Do you have a go to baby lunch? I am always looking for more ideas so I would love to hear, it is so easy to get stuck for ideas coming up with baby foods.